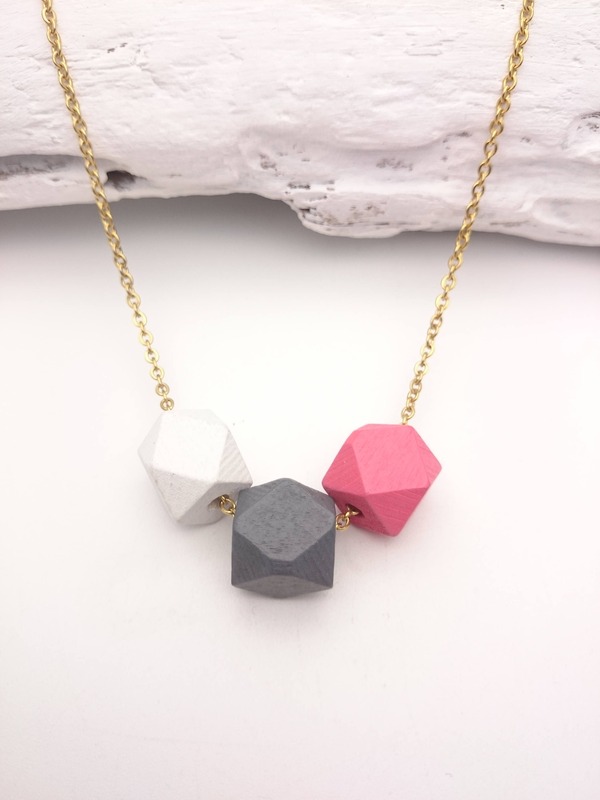 White Gray Pink gold geometric wood necklace//Wood hand painted faceted beads 12mm gold steel chain//Little hexagon wood necklace hypoallergenic. 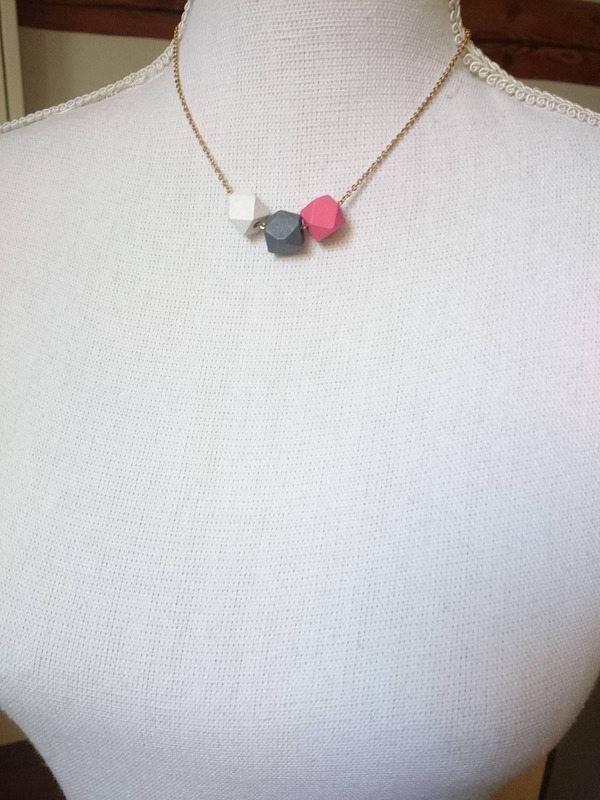 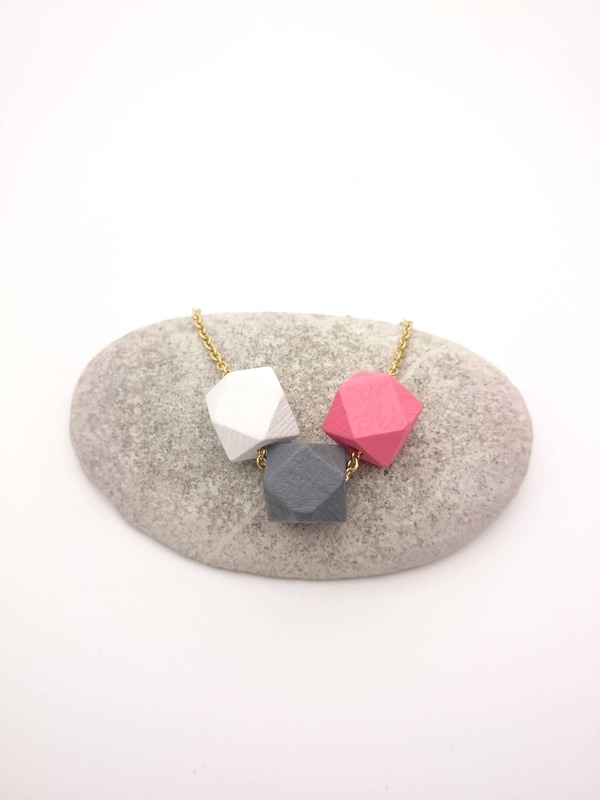 Necklace I made with 3 geometric hand painted faceted wooden beads, one white, one dark pink and one dark grey and a gold color stainless steel chain closed with lobster clasp. 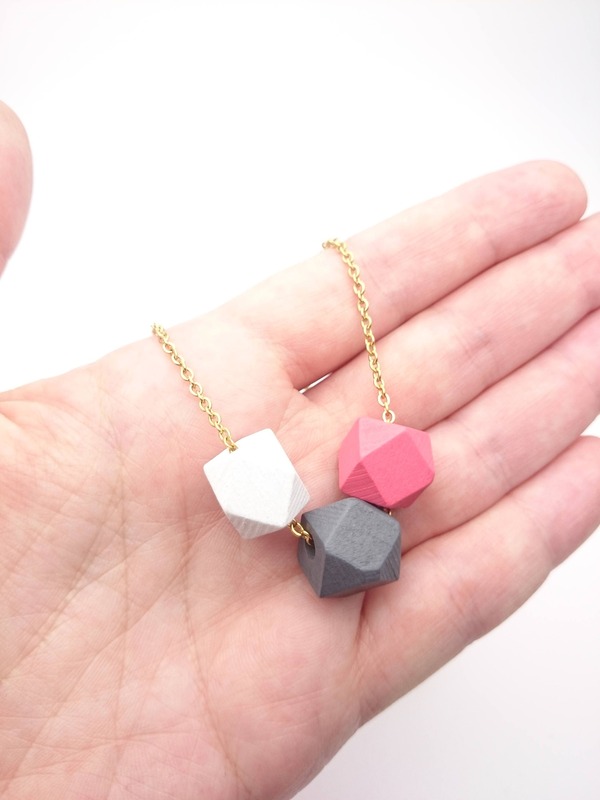 This is a small necklace. 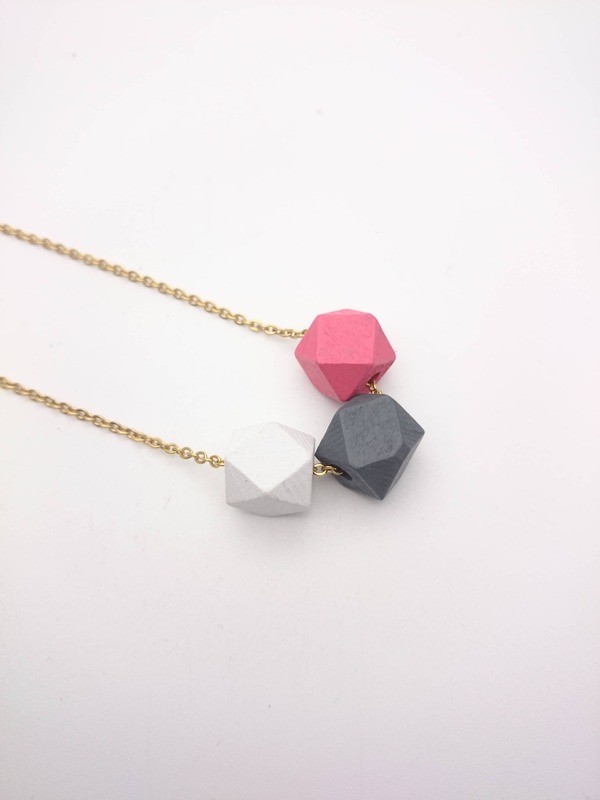 The beads are 12 mm each and you can choose the necklace length (16, 18 or 20 inches).